Our BrightStart Higher Apprenticeship is an opportunity for curious, smart people like you to leap into the world of professional services. Earn-while-you-learn, gain a professional qualification and get stuck in, helping to solve some of our clients’ most complex problems right from the start. You will need to have obtained or studying towards at least 260 UCAS points (pre 2018 A level, or equivalent, results) or 104 UCAS points (2018 A level, or equivalent, results). You must have achieved at least a grade 4 (C) in English language and at least grade 6 (B) in Maths in your GCSEs. Each of our four Audit & Assurance businesses offers fascinating engagements, inspirational colleagues, and every opportunity to explore, develop and grow. The difference is in the type of clients you’ll work with. • Public Sector Audit: Want to make meaningful, long-term impacts on public services? We’re the market leader in NHS Foundation Trusts, and work with some of the UK’s biggest universities and local governments too. You’ll build advisory expertise working closely with senior client staff, focused on solving their business-critical issues. • Private markets: Want to work with some of the UK’s most dynamic privately owned companies in a role that goes beyond auditing? Private Markets gives you the unique opportunity to work directly with company owners across all aspects of their business – supporting them on their journey to becoming a listed company. • FTSE: You’ll work with some of the world’s most recognisable brands; those publicly listed on the London Stock Exchange. In FTSE timing is everything; these firms are leading the business agenda in the UK and your work will have the potential to impact their performance right across the investment community. • International: You’ll work closely with colleagues and clients across the world, from US to Japan to Africa and beyond, on everything from audit to post merger assurance. This complex, intellectually challenging work, comes with opportunities to build senior level, global networks. • Financial Services: Specialise in the insurance industry, working with a diverse range of clients from key players to the industry’s rising stars. With digital transformation top of the agenda, you’ll go beyond providing audit and assurance, to finding new ways for clients to improve how they work. You’ll get to work with and learn from some of the most talented and experienced professionals in the industry. And benefit from a unique training programme for new joiners. One that balances core skills along with the specific requirements of each of our Audit & Assurance businesses and gives you the flexibility to work, learn and develop in a way that suits you and fits with the business’ requirements. Our work underpins the accuracy of the information shareholders use to make key financial decisions. Working with influential multinationals, innovative start-ups and household names, in every sector, we really get to know our clients’ businesses, so we can help them improve how they work. Discover more. To make an impact that matters for our clients, our people and society – defines who we are and what we stand for. Our purpose provides the foundation for our strategy and our aspiration to be the undisputed leader in professional services: this is not about size, it’s about being the first choice. The first choice for the largest and most influential clients, and the first choice for the best talent. The UK, Ireland and Switzerland, Belgium, the Netherlands and the Nordics (Denmark, Finland, Iceland, Norway and Sweden) have combined to create a new Deloitte North West Europe firm. This is to support our aspiration to be the undisputed leader in professional services and to increase our global influence and lead in EMEA. Cultural fit and purpose-led leadership is crucial for Deloitte. Our leaders always set the example and inspire their colleagues. They make quality time for people and take an interest in them. They know what matters to people – both inside and outside work – and value them as individuals; always finding opportunities to develop them while showing respect and appreciation. We expect colleagues at all levels to embrace and live our purpose and our leadership culture by challenging themselves to identify issues that are most important for our clients, our people, and for society and make an impact that matters. All our BrightStart Higher Apprenticeship vacancies will close on 15th April 2019, with the exception of Belfast BrightStart Higher Apprentice vacancies which will close 21st December 2018. Vacancies may close ahead of the published dates, so we encourage all applicants to apply early. Welcome to the home of the curious. A place for those who know that imagination, ingenuity and solution finding are what humans are made of. We offer life-changing careers and professional qualifications, for those who set no limits to their dreams and ambitions. Thinking college or university might not be for you? But eager to keep learning and gain career-boosting qualifications? How do you reconcile the two? A Deloitte Apprenticeship is a chance to earn a real salary, while you learn. With real work and projects from the start. On a structured career path that means you can shape your own future. At Deloitte, an Apprenticeship is not just a training scheme, it’s a permanent job. That comes with a generous salary, annual pay reviews and potential bonuses, as well as an absolute commitment to your lifelong professional development. You’ll also have access to a wealth of flexible benefits, including gym membership, pension and healthcare. BrightStart Higher Apprenticeship From day one, you’ll be helping to solve some of our clients’ most complex problems and enjoying the same respect as your more senior colleagues. We’ll teach you all the skills, knowledge and behaviours you’ll need, give you every opportunity to develop and learn, and support you all the way. You’ll complete your training over 15 months to 4 years (depending on the programme) and end up with a degree- or masters-level qualification, great professional experience, and a career with a firm that’s all about helping you achieve your ambitions. Where can you join us? We have opportunities across our entire business, so whatever your passion is you’ll find something that’s right for you. 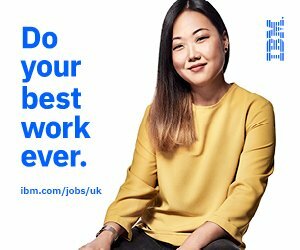  Audit & Assurance  Business & Financial Advisory  Cyber  Governance, Risk & Regulation  Human Capital  Strategy & Operations  Tax Consulting  Technology Entry Level Apprenticeship You’ll support client-facing staff across the UK with critical day-to-day tasks, from research to admin to project management. Think you’ll just make tea or do the filing? Think again. You’ll be working on Deloitte’s largest and most influential clients, in constant communication with the client-facing teams, including our most senior Partners; you’ll become a subject matter expert, learn on the job and study towards your Level 3 City & Guilds Diploma in Business Administration. What’s more, you’ll get all the support you need to thrive, grow and develop your future. Looking for a career full of challenges, learning and progression? Driven by curiosity? Then Deloitte could be right for you. Intrigued? Discover more at deloitte.co.uk/careers.